Last week, when Jon & I were at a local farm with the boys, enjoying a nice summer family day out, something happened that I hadn't experienced before. We'd just fed the sheep and were heading to wash our hands, when a little boy - a very small boy about 18 months old or so - started to throw the most massive tantrum. It was like nothing I'd ever seen before - his arms were flailing about everywhere, he threw himself down on the floor, he kept his body as stiff as a board so that no matter how hard his poor mother tried to lift his tiny little frame up from that dirty concrete ground, she just couldn't manage it. Every time she got a grip on him, he wrestled free and planked himself flat onto the floor again. Stiff as a board. Totally immovable. And all the while this was going on, he was screaming at the top of his lungs. Literally full on, ear piercing, blood curdling screams...over and over and over again. The noise was enough to send the nearby donkeys in to a bit of a meltdown, and between the donkeys frustrated squeals and the boys hellish high pitched screams I thought my eardrums were going to burst. His mother, bless her, was trying her best to make light of the situation, even laughing a bit about his display and trying to entice him out of his tantrum. First of all promising him some sweeties if he stood up like a good boy, then changing tack and telling him off a bit instead - she was floundering, you could tell. Her face went all red, and her eyes were darting around - trying to see how much of an audience they'd amassed. Worrying about how many people might be judging her. But the boy - oh my goodness, the boy was relentless - I'd never have expected so much willpower in such a tiny little tot, he'd looked so sweet and innocent on the farm earlier that day - with his huge brown eyes like saucers and his cheeky little grin as he chased around after the chickens and ducks, chuckling to himself, relishing in his new found farmyard freedom. But now - now he was like a child possessed - kicking his mother with force in the stomach as she tried desperately to scoop him up, and then reaching out and grabbing fistfuls of her long hair so that she had to stop trying to pick him up and instead try to prize her hair out of his grasp before he tore any more of it from her scalp, mortified as people around her started to tut loudly and whisper in not-quite-hushed-enough-voices about how "their child would never dare behave that way". I thought then about that news story I'd read a while ago - about the woman in the department store whose young toddler had been asked to leave after having a particularly epic tantrum. I remembered how - at the time - I had thought it ludicrous that a child that young could even be accused of a throwing a tantrum, let alone be marched out of a department store for it. But here I was witnessing it first hand - there was no mistaking it - this was a full blown tantrum of epic proportions, and this tiny little boy was not giving in. I couldn't help but be slightly impressed by the sheer amount of determination and willpower this little terror was showing...my 3 year old is twice his size and has never put on such a display. I kept this thought to myself of course, unlike the many other people around us who felt the need to vocalise the fact that their little darling had never acted in such a way...as though it was in any way helpful to anybody, as though their childs lack of a tantrum made them messiahs of parenthood rather than just a bit lucky. I wondered if he might be asked to leave the farm, like that department store child had been - I imagined how the whole thing might make tomorrow's trashy newspaper headlines - I wondered what I might say if asked to comment. "There was nothing that could be done, what can I say, the boy was acting like a horrible little brat to be honest...I don't know what was the matter with him. His mother deserves a medal for not bursting into tears"
Because he was. He was acting like an out and out little horror. I've truly never seen anything like it. He was the kind of child that you see out in public and thank your lucky stars it isn't yours. And as Noah lay there, looking up at me... screaming as loudly as he could, right in my face... I wanted the ground to open up and swallow me. 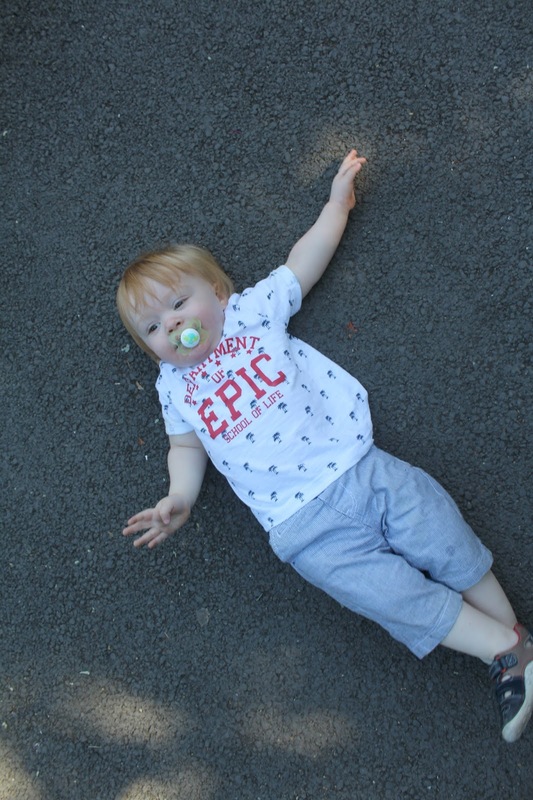 Instead I had to carry on until I eventually managed to wrestle him back into his pram, fix my hair a bit, take a big deep breath and try to act as dignified and unflustered as I could as I walked past those staring people with their judgemental eyes. 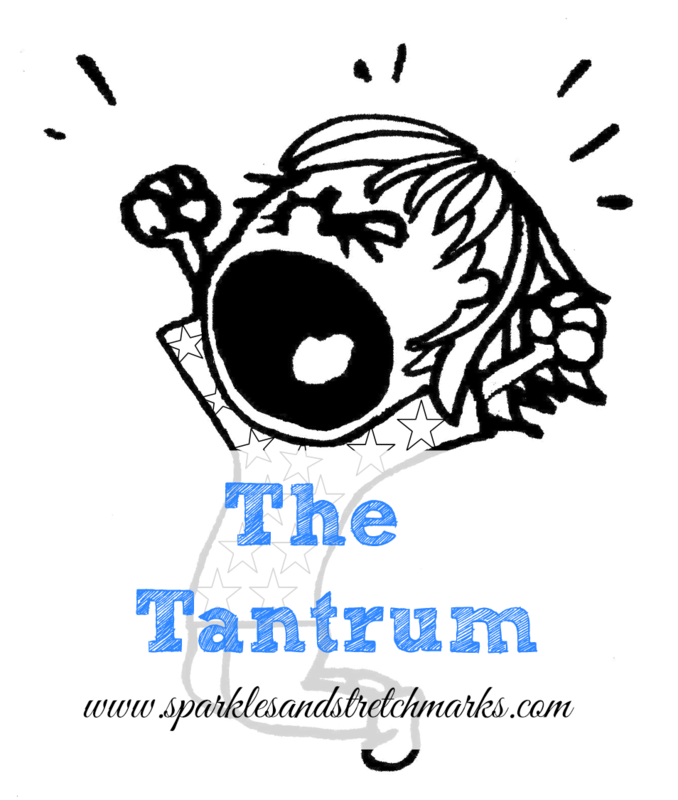 And just like that - I had experienced my first full on public tantrum - courtesy not of my three year old who I may have expected it from, but of my wilful and feisty 16 month old. Oh dear - that sounds like a tough one! 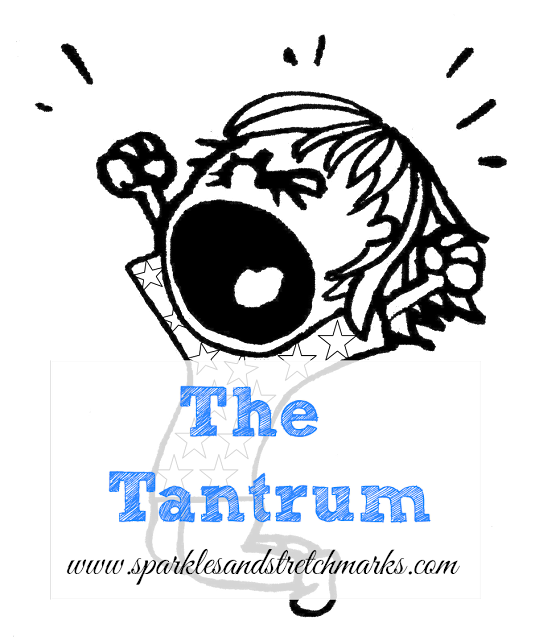 I've luckily (fingers crossed) never had a full on tantrum, a few mini meltdowns in public, but one or two at home, which are hard enough to deal with then, never mind those judgemental eyes watching how you deal with the situation. I used to be so concerned, anxious even, with dealing with my son in public, but as he has got a bit older I feel more confident in my abilities when out and about, and kind of just turn a blind eye to those around me and focus on me and him, the situation we're dealing with directly. Parenting is a rollercoaster, and when the downs are in public, it's made that little bit harder. I think you dealt with the situation the best you could, and that's all that matters really... You both survived. Haha! I wouldn't expect it from him either!